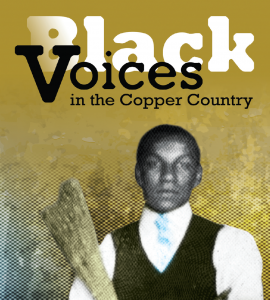 The Michigan Technological University Archives and Copper Country Historical Collections recently launched an online exhibit to showcase some of the findings from the Black Voices in the Copper Country project. The exhibit examines the African American experience in the Keweenaw, showcasing historic documents and photographs available for research use at the Michigan Tech Archives. The online exhibit, created by project director Lindsay Hiltunen and project researcher Martin Hobmeier, is intended to highlight materials that explore underrepresented individuals and narratives in Michigan history and serves to encourage researchers to consider more inclusivity when telling regional and state history. Information can be found about the early mining era, the student experience at Michigan Tech and the Richey family, who were prominent Houghton residents in the late 1800s. Although the exhibit features interpretive content, project staff were most interested in uncovering materials available at the archives so they could be better equipped to help future researchers wanting to explore the topic. The exhibit launch is the final piece of the yearlong project, which included substantial archival research, public programming and exhibits. 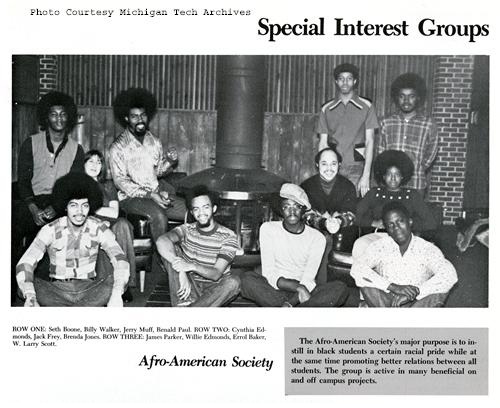 A social media campaign took place during the month of February in which the Center for Diversity and Inclusion at Michigan Tech partnered with project researchers to share historic images of black students and community members. Another project event was a photograph exhibit at the Carnegie Museum of the Keweenaw which was installed during Black History Month. These are just a few examples of programs and outreach that took place over the course of the project. The project was funded in part by the Michigan Humanities Council, an affiliate of the National Endowment for the Humanities. For more information about the Black Voices project or the Michigan Tech Archives, please e-mail copper@mtu.edu or call (906) 487-2505. The Michigan Tech Archives is open to the public Monday-Friday, 10 a.m. to 5 p.m. Walk-ins are welcome!